A headache here, back pain there. or even something more serious, like migraines or full spine pain. What is the pain trying to tell you? What is its purpose? All of us would like to avoid pain at all costs. So, at the primary sign of any type of pain, we take something to hide it. However the pain is simply proof that something else is wrong. The pain isn’t actually the problem. It’s simply a communication system. This is your bodies only way to get attention of its owner. Which is you! If you ignore it, or suppress it with a pill, it doesn’t leave. It’s like covering your “Check Engine” light with tape on the dashboard of your vehicle. Unfortunately the issue is still there. Traditional drugs work at reducing or suppressing symptoms. Prescription and over-the-counter medications usually provide you with quick relief from your symptoms. Then, larger dosages are needed to do the same job. This philosophy towards pain and its relief has been an element within the growing opioid crisis. Chiropractic care takes a completely different approach. Pain, or different symptoms (headaches, back pain, etc), is a language your body uses to provide you with a warning that a limit has been reached and a change must be made. This sometimes involves the functioning of your nervous system. Your nervous system it controls and regulates each cell of your body. Each nerve message between your brain and body travels through the spinal cord. If a vertebra is out of place, even a tiny amount, it will place pressure on your spinal cord or the nerve roots that exit the spine. This interference can cause a many health issues. A series of particular spinal adjustments help restore the proper spinal function that your body needs. The result? Revived brain to body communications. Also, you can start to say goodbye to those pesky headaches, or that lingering back pain. 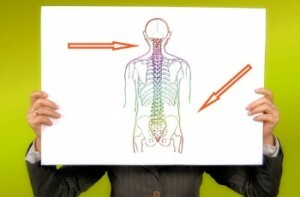 If you’re unfortunately experiencing pain, get an intensive spinal examination. Chiropractors have been able to help many people who have been told surgery is their only option. Or told to “learn to deal with it.” Chiropractic care is an all-natural solution that has been able to change the lives of millions of people. We would love to hear from you, to see if we can help you!